A little light relief after all the stress in the french villages. Joseph Alleman is one of my favorite painters. 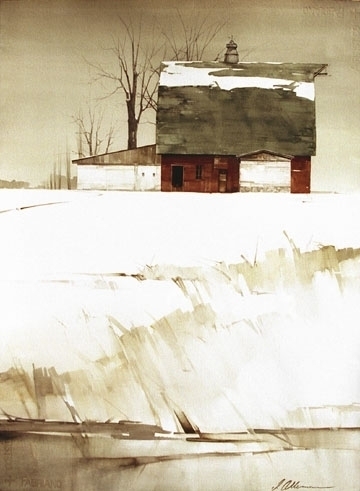 His paintings have so many wonderful qualities - subtle color, brushstrokes, and atmosphere. In particular he makes fantastic abstract shapes that enhance his representational painting. Extremely beautiful stuff.